Hurting blue autumnal skies, crisp above the waterways surrounding Liege. So peaceful, as my bicycle bumps along their banks. drowned in these same canals. 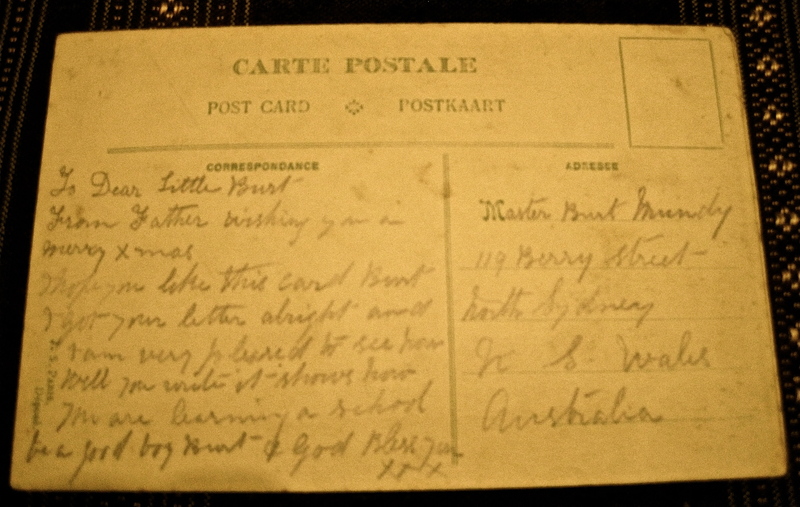 Handwritten postcards to his six year old son, a family’s poignant sorrow.